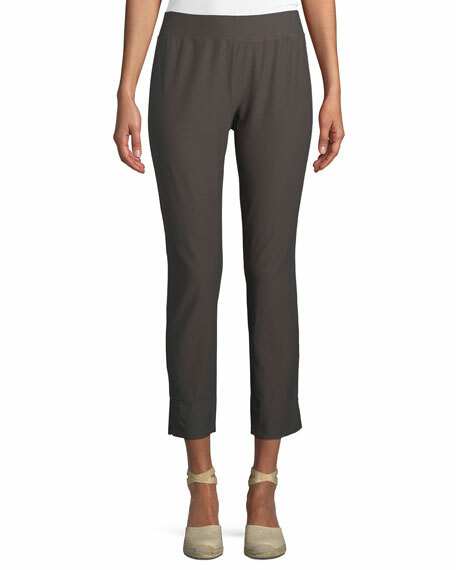 Eileen Fisher washable stretch-crepe pants. Approx. 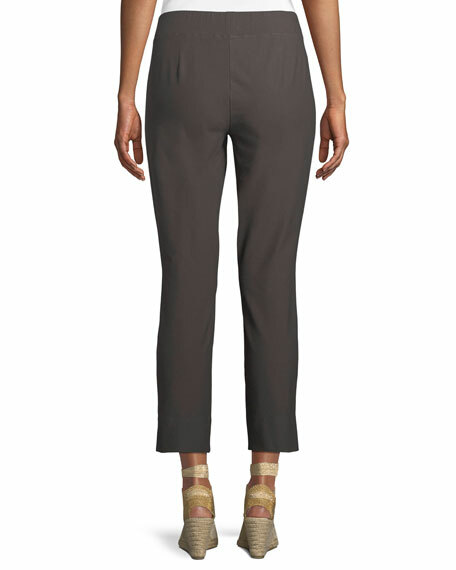 measurements: 9" rise, 26.5" inseam, 35.5" outseam; 12.5" leg opening, 2.5"L slit. For in-store inquiries, use sku #2458072.